Due to my main line of design work (see here! 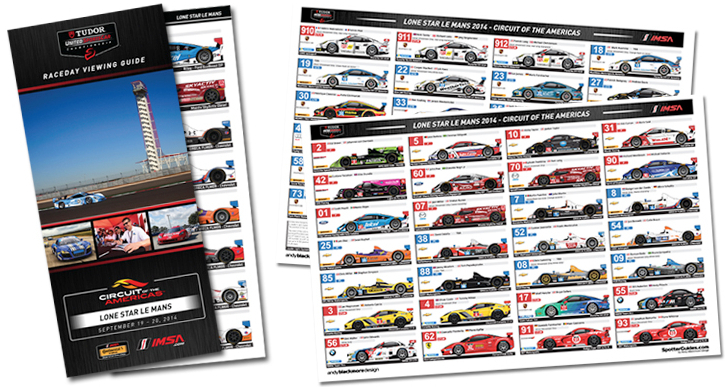 ), the 2015 Racing Wall planner will now be launched after the Rolex 24, probably in early February. As I write this, there are a couple of championships which have not confirmed dates. You will be able to download the guide here, but you will also have the opportunity to purchase a professionally printed version of the guide. I always get requests to sell the Spotter Guides, but thats not normally an option due to licensing as I want to do everything above the board as many teams and series are also my clients today, or in the future.